According to the Alzheimer’s Association, more than five million Americans are living with Alzheimer’s disease and that number is anticipated to grow to 16 million by 2050. With so many individuals affected by Alzheimer’s disease and other forms dementia, it is crucial to have support and care in place that allows them to lead fulfilled lives. DePaul’s Senior Living Communities understand the challenges of living with Alzheimer’s disease and are committed to enhancing the quality of life for these residents. Quality care at DePaul means providing the optimum level of support to each resident while remaining sensitive to each individual’s assessed needs. This level of care is especially imperative for those with Alzheimer’s disease and other forms of dementia. It is important to keep people with Alzheimer’s disease involved in activities and interests that may have brought them pleasure in the past. These stimulating activities can help bring back memories, create emotional connections with others, encourage participation and make them feel more engaged with life. 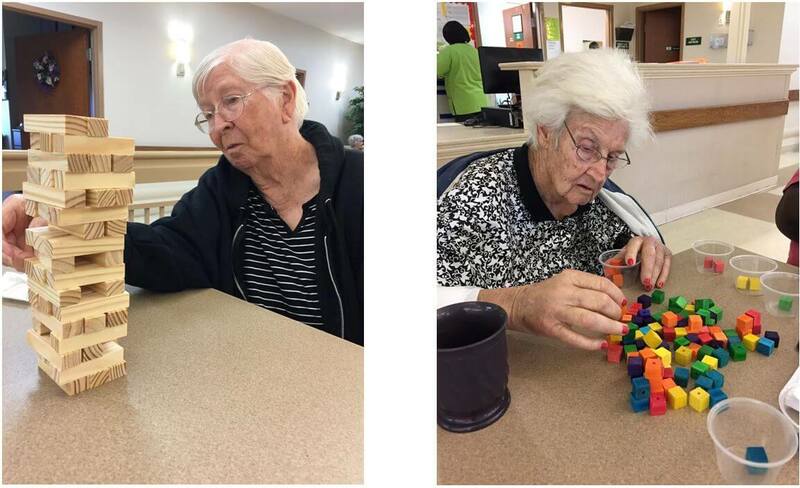 DePaul’s Senior Living Communities provide many activities throughout the year for residents living with Alzheimer’s disease and dementia including music and art therapy sessions, exercises which encourage dexterity and hand-eye coordination, and special activities geared toward individual needs. Twelve Oaks in Mt. Airy recently went above and beyond to meet the needs of a resident with dementia. As part of her diagnosis, resident Shirley Bowes believes she is actually a Twelve Oaks employee. 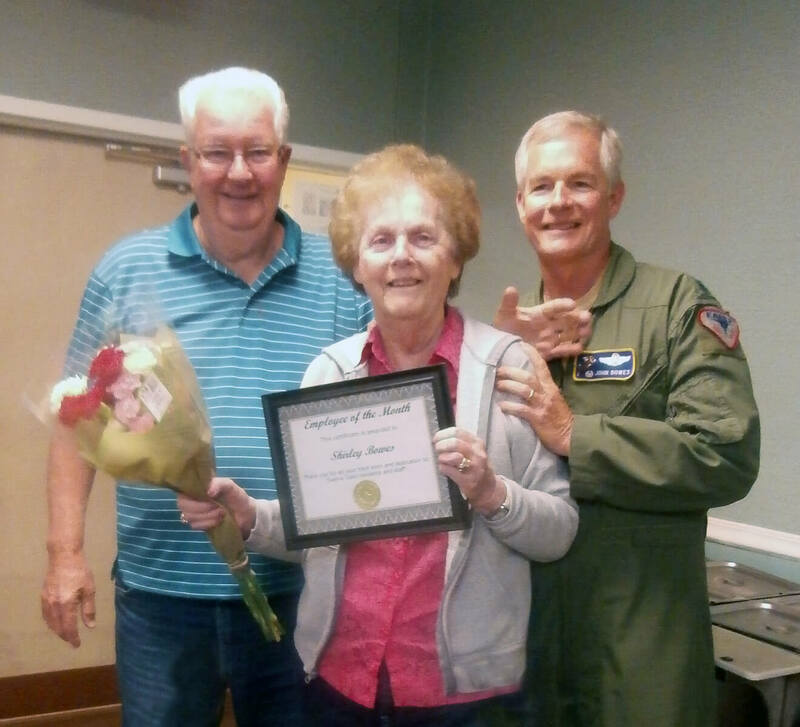 Shirley was voted “Employee of the Month” at a staff meeting and was recognized with flowers and a certificate. 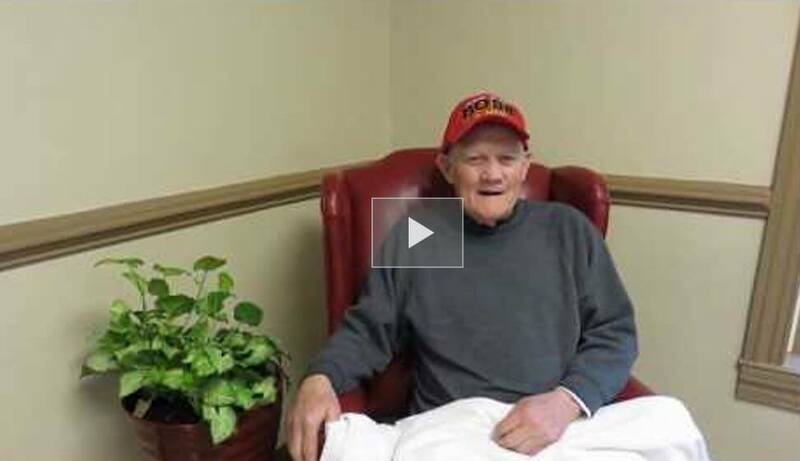 In another instance, staff helped resident Pete Bowman relive his days of making a living laying floors. Twelve Oaks ordered foam tiles and encouraged Pete to “work” laying the tiles in his bedroom. Watch how this activity created a genuine moment of joy for Pete! 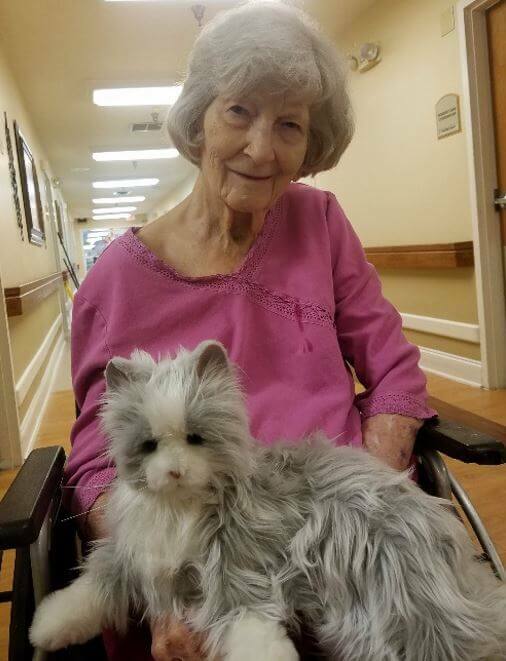 Residents with Alzheimer’s disease and dementia have also received Comfort Companion dolls and pets that are designed to bring comfort and joy when they may be facing challenges of communication, loneliness and memory loss. Watch residents from our senior living communities Rolling Ridge in Newton Grove, NC and Woodridge in Monroe, NC light up with joy as they interact with the Comfort Companion dolls and pets. Even simple activities which encourage hand-eye coordination such as stacking cups or sorting exercises can be highly beneficial! Every activity helps make a difference for our residents affected by Alzheimer’s disease and other forms of dementia.